Most rootkits hide themselves using power of kernel because rootkit implements on kernel level of any operating system, thats why it is hard to detect and delete the rootkits. 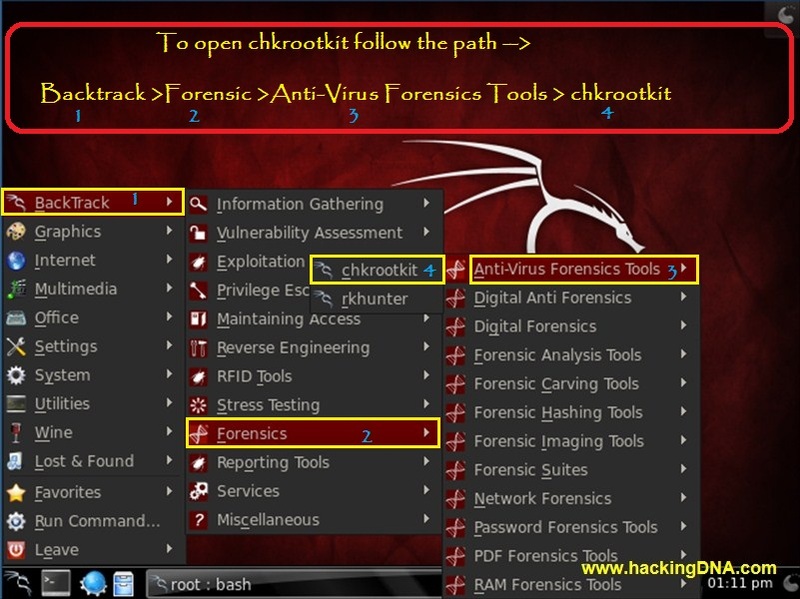 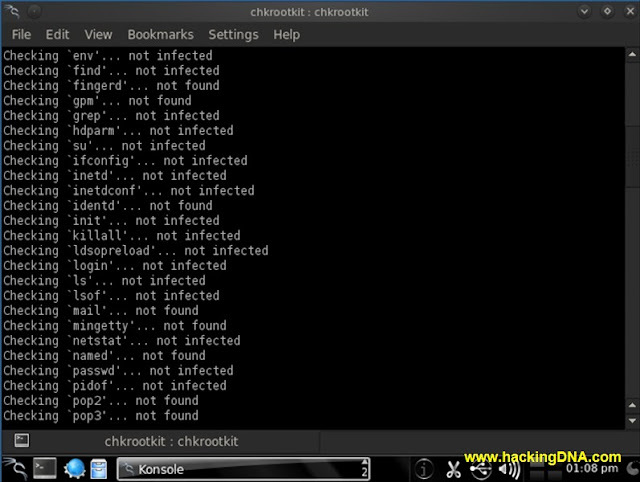 chkrootkit is a utility that checks for the rootkits . 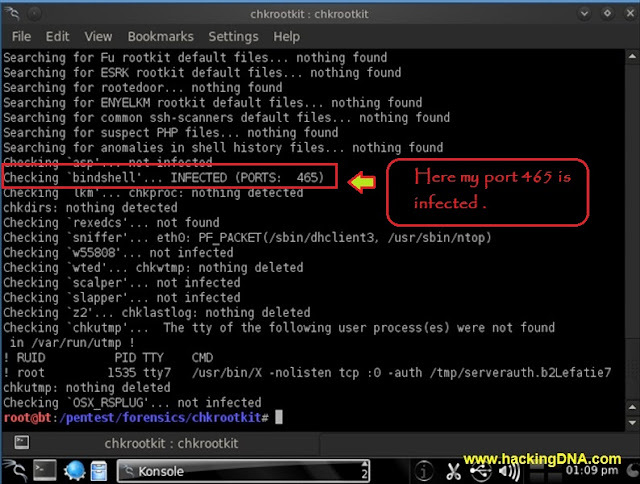 It contains shell script that checks the system binaries for rootkit modification. 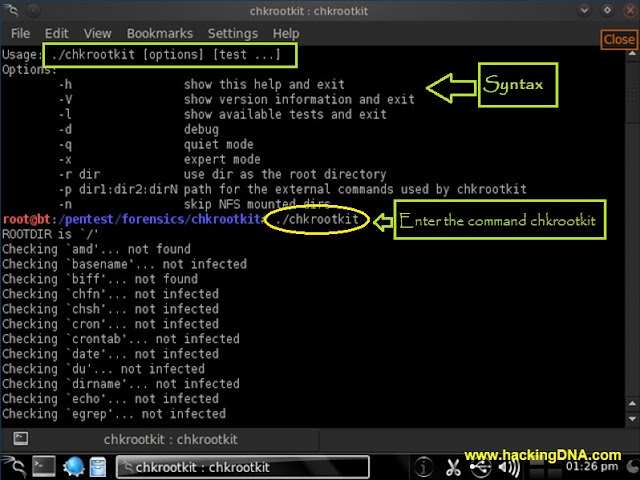 To know more about rootkits click here http://en.wikipedia.org/wiki/Rootkit. 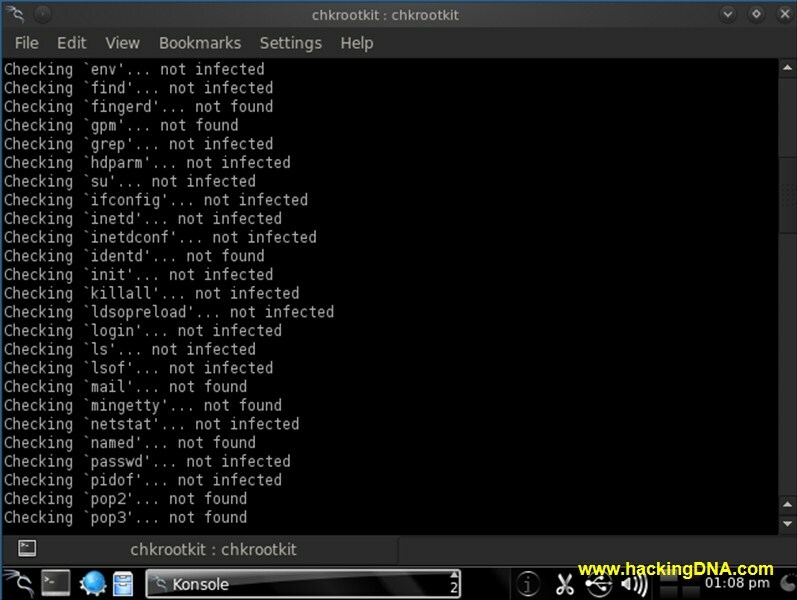 chkrootkit runs on Linux (Backtrack,Ubuntu etc). The following tests are made -biff,chfn,date,du,dirname,echo,egrep,bindshell,rlogin,passwd,netstat,pidof,pop2,pop3,su,sendmail,top,rpcinfo,rshd,tar,ps,fingerd,ls,mail,pstree etc . 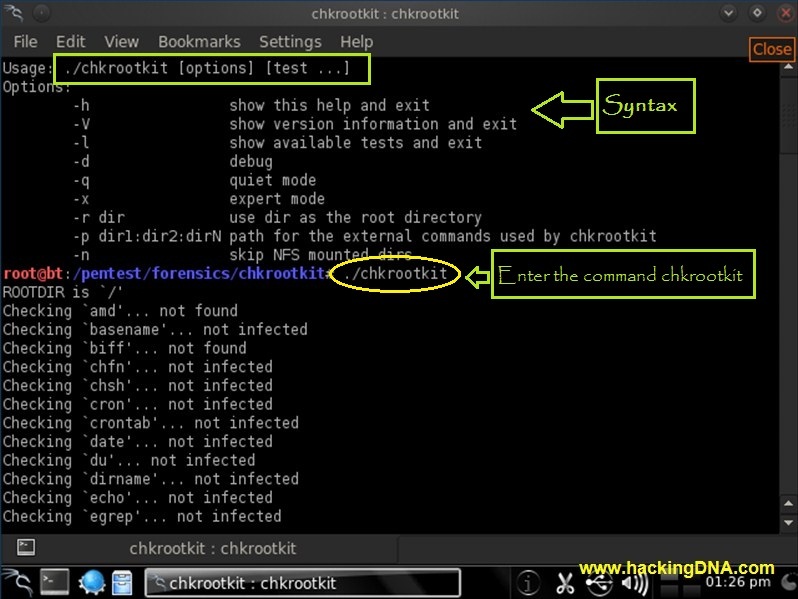 This is how we can use the utility named "chkrootkit".